This is a fast sketch of a town neighborhood. It was originally drawn for a one-shot adventure. It works great for a town outdoors encounter, surrounded by town houses, trees and farms. One of the houses in particular is shown in more detail. 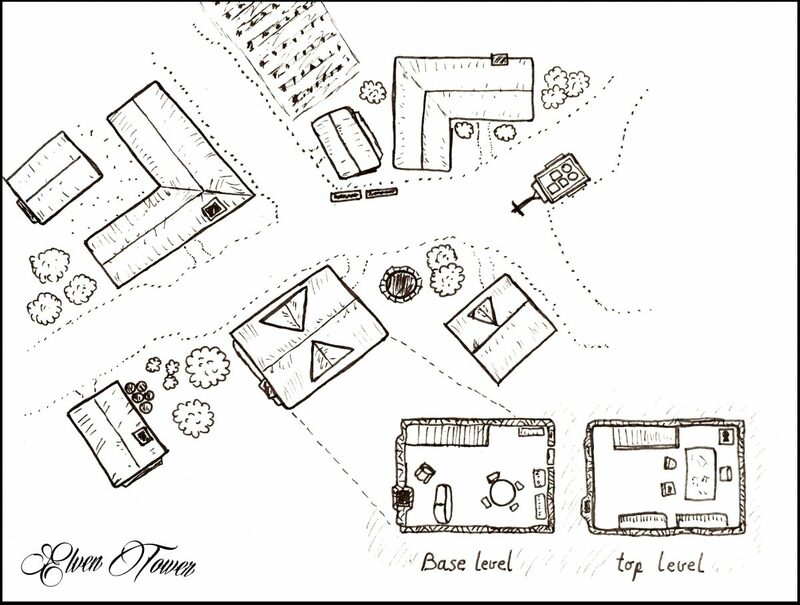 Its two levels drawn beside the town map.